Venus (Love) will be in your 7th House of Aquarius this month (2/1 - 2/23). You can find that partnership opportunities appear from everywhere. 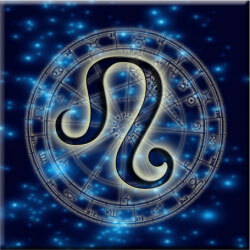 Single and coupled Leos will enjoy the admiration and attention that comes their way. You could be having so much fun that you find yourself tempted to overspend and over indulge, so stay watchful. Serious topics such as marriage, children and business affairs will be subjects of interest that come your way via others as they your advice. It's a great time to bond closer with the one you love, Leo. This will be a memorable month. A New Moon occurs in Aquarius and your 7th House of marriage and commitment on 2/10. This Moon will be a romantic and memorable time for you as a love interest will captivate your free time and consume your energy. This New Moon can find Leo in a mood to rush into a serious commitment. Try to avoid impulsive actions during the New Moon. You could come to the conclusion at a later date that maybe you rushed into things. Take any new romance slowly for ideal results, Leo. Opportunities to make a greater commitment in love will come your way. A Full Moon occurs in Virgo on 2/25. This will be a lucky Full Moon for you, Leo. Those Leos who enjoy risk taking behaviors such as lotto or gambling can strike the jackpot or be offered some other bonus or windfall in the days leading up to this Full Moon. Before you get tempted to spend, think about unexpected expenses and all that you have learned about savings in the past few years. Find a balance that works for you but don't deny your basic needs either. A Cancer, Capricorn and an Aquarius will play active roles in your life this month.